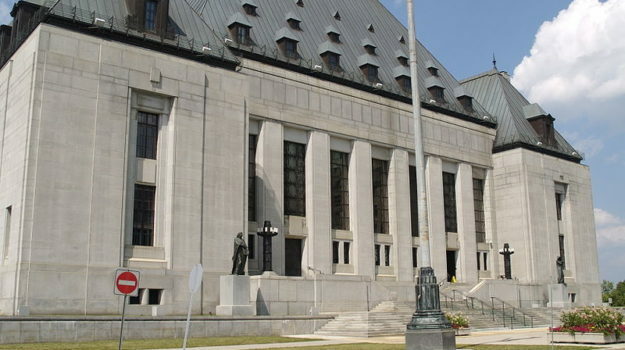 Landmark court cases in Canada’s human rights history, including early human rights decisions in British Columbia to accompany the book Equality Deferred. The Canadian Human Rights Reporter publishes decisions dating from 1980 for all jurisdictions in Canada. Attorney General of Canada v. Lavell 1973. Boyer v. The King 1948. Christie v. York 1939 . Dupond v. City of Montreal 1978. GATE v. Vancouver Sun 1979. Noble Wolf v. Alley 1950. R v. Mazerall 1946 appeal. Robertson and Rosetanni v. The Queen 1963. Saumur v. City of Quebec 1953. Gagnon and Vallieres v. The Queen 1971. R. v. Vallières 1973 appeal. Vallières v. R. 1973 appeal. National Human Rights Conference Programme 1958. Newfoundland Human Rights Commission decisions 1971-77. Newfoundland Human Rights Commission Annual Report 1983. Newfoundland Human Rights Commission Annual Report 1986. Newfoundland Human Rights Commission Annual Report 1987. Newfoundland Human Rights Commission Annual Report 1988. Newfoundland Human Rights Commission Annual Report 1989. Newfoundland Human Rights Commission Annual Report 1990. Newfoundland Human Rights Commission Annual Report 1991. 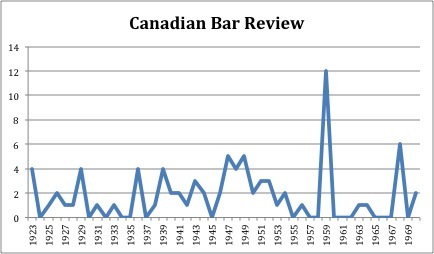 The following is a survey of the Canadian Bar Review from its inception in 1923 to 1970. The survey is concerned with how often the topic of civil liberties and human rights are the subject of articles or commentary. The survey is based on an examination of the subject titles provided at the beginning of each issue as well as the subject index produced in 1960 that lists those articles dealing with “civil liberties and civil rights”. In some cases it was a full article, and other cases were a brief case commentary. Civil liberties or human rights were not always the primary subject for framing the article. The term ‘civil liberties’, for instance, was first applied in an article title in 1941. The term ‘human rights’ did not appear until 1948. The 25th anniversary issue of the Canadian Bar Review, published in 1959, did not include a single article on civil liberties. The spike in articles in 1959 reflected debates at the time over the proposed Canadian Bill of Rights. The spike in 1945-1949 was largely a response to the Gouzenko Affair. In 1923, 1949 and 1954 the dominant issue was race. Some of the key figures involved in the espionage commission were executive members of the Canadian Bar Association including E.K. Williams, Judge James McRuer and Gérald Fauteux. Women’s rights were rarely discussed in the CBR, whereas habeas corpus was the most common rights-issue discussed in the journal. While the journal was technically a national publication, it was predominantly an English-language periodical. The journal rarely carried more than a few articles in French in any given year.